Council on Health Research for Development - COHRED | Forum 2012 calls upon countries to maintain support to research and innovation for….development…. Forum 2012 calls upon countries to maintain support to research and innovation for….development…. Cape Town, 26 April 2012 – Forum 2012 on the theme Beyond Aid…Research and Innovation as key drivers for Health, Equity and Development, was held in Cape Town, South Africa this week. The Forum examined the prospects for a new vision of development that looked ‘beyond aid’, by focusing on developing capacities in low-and middle-income countries and emerging economies. This engagement probed how global collaborations can be used to support research and innovation processes that can enhance this new era of development. Participants at Forum 2012 had the opportunity to share experiences on how to set their own priorities for research, build capacities and provide incentives for innovation. Innovation was identified as a key factor in compensating for the lack of infrastructure and resources, especially in the form of new information and communication technologies (ICTs): Virtual collaboration, sharing of data and mobile health technology, to reach rural areas, are some of the exciting possibilities. Although governments in developing countries find it difficult to meet recommended targets for research and development spending, it is a misconception that they rely purely on international aid, as they remain the major funders of research in their countries. Whilst building self-reliance for countries is essential, participants at Forum 2012 argued that there are benefits to collaborating with neighboring countries – such as pooling resources and knowledge. Additionally, participants called for greater cooperation between sectors within countries to drive improved health. Participants from the private sector were urged to create public private partnerships in order to share funding and knowledge. A strong and recurring theme at Forum 2012 was the need to always ensure the involvement of communities in setting the priorities for health research. High on the Forum 2012 agenda was the issue of women’s health, although it was stressed that the focus should be on sexual and reproductive health and not simply on maternal health. Forum 2012 was credited for an inclusive and diverse approach particularly around the presence of young people through the ‘Youth in Motion’ sessions. Youth in Motion is a platform for young people to have discussions and create youth networks with the goal of achieving global equity. Tennyson Magambo spoke at the closing ceremony on behalf of Youth in Motion. He called for the increased use of ICTs and new media, and for action and social change around issues of health, equity and development. Youth in Motion is in the process of setting up a health research network portal for sharing experiences, knowledge and peer learning. 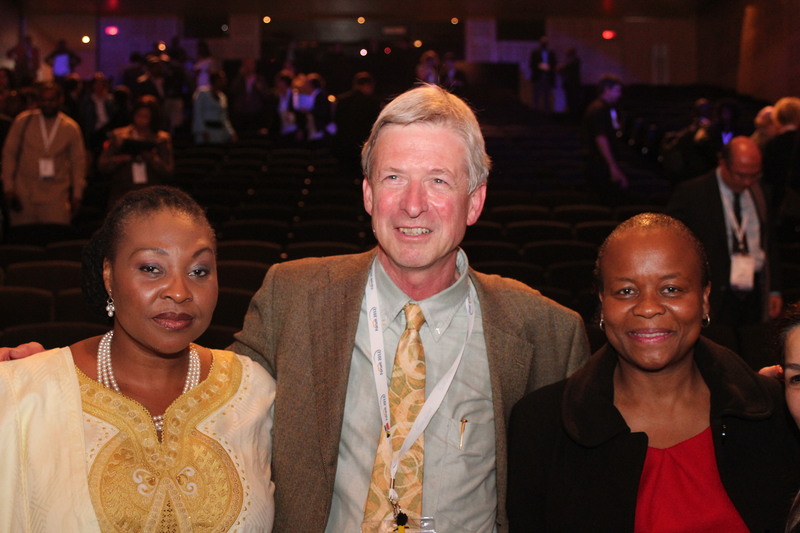 Forum 2012 was held from 24 to 26 April 2012 and jointly organised by the Council on Health Research and Development Group (The COHRED Group), and both the Department of Science and Technology and the Department of Health, of South Africa.